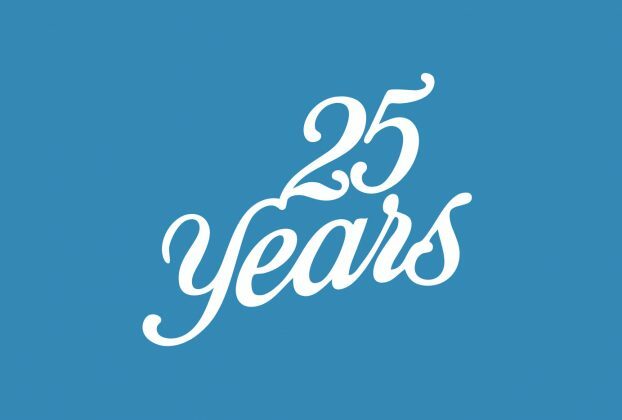 25 years ago EclectiC has been founded as a small executive search company by two partners and soon developed a focus on candidates working at the interface of IT and business processes. We broadened our services from pure recruitment to interim management and temporary staffing. Senior professionals with broad business experience and state-of-the-art technology knowledge are our main business since then. Over the years the company went through different phases, mainly triggered by the fast developing IT & technology market and by global economic influences. The small two-partner company became an international business with subsidiaries in five countries (US, UK, Germany, Belgium and the Netherlands) and about 75 employees (internal staff) to manage the entire operation. EclectiC served clients in multiple countries and worked with candidates from all around the world. We saw a lot of companies being built, restructured, merged, acquired or expanded. With some of our clients we have a shared history of more than a decade in which company names as well as legal and organizational structures have been changed multiple times. We saw C-level managers come and go and dealt with a multitude of different hiring managers that were helped to build their teams or centers of expertise by us. EclectiC has always been adapting to the market and its developments. After having survived all major economic crises of the last two decades we decided to concentrate our effort, reintegrate all international activities into the main central European business and solely act from our headquarters in the Netherlands – modern telecom and web technology enables us to do so. In times of social media, professional web-based communication systems and paperless offices multiple company locations are more a restriction than a solution. We never regretted this decision and are proud to be one of the most innovative businesses in our industry today. Our clients and candidates appreciate our forward thinking approach which never lead to less quality of communication or co-operation. Relationships are as strong as ever. The beauty of long-term relationships built on trust is that they work for you in different directions. EclectiC’s business is a people business based on open communication and transparency. Over the years we have spoken to thousands of candidates and hundreds of clients. Our trustful, open and empathetic approach of people has opened a lot of doors for us. Our employees understand to build strong relationships and match people with great opportunities. This said, we have witnessed great career steps and incredible challenges for people. We had the honor of accompanying people through their decision making processes and to stand beside them as a trusted adviser. Building these close relationships often created the opportunity to continue co-operating with many of our candidates once they had started working with our client’s organization. Others decided to take jobs with other companies but kept in contact with us over a long time and came back once as a candidate or a potential new client. By talking to such an amount of people with most diverse backgrounds in terms of talent, education, culture, interest, etc. our people have developed the ability to adapt quickly and to build powerful networks. But there is more to it. Building networks is one ability but becoming a true team is another. A lot of outstanding people don’t necessarily make a great team. It is the ability of adapting again that makes our team powerful and successful. In a way EclectiC is comparable with a well-functioning family – it needs passion, dedication, assertiveness, diplomacy, resistance and lots of fun to be part of it. Over the years we have been lucky to find a decent number of people of this type, many of which are still working with us. EclectiC is all about people – not only with respect to the business but also regarding the team. Our founder once said that he was looking to have a family at home and a family at the office. I guess this explains it best. Our people are the very essence of our success. Without this great group of individuals EclectiC wouldn’t be standing where it is today – a flourishing company at the peak of its performance, a lean organization based on the most innovative systems and tools, an enthusiastic group of people that strives for the max. EclectiC is going to dedicate the 25th anniversary to all people who made it possible with a number of events spread over the entire year. The kick-off for our staff just took place in Switzerland where we went for a great weekend of snow fun and sociability. And there is more to come for our employees, consultants, clients, suppliers etc. Stay tuned and celebrate with us!